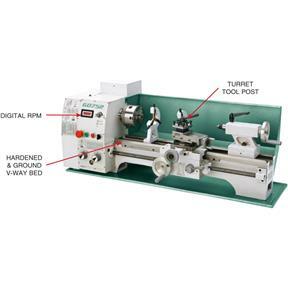 The Model G0752 is a variable-speed version of our G0602 10" x 22" Bench Lathe. It shares the same features and accessories as the G0602, but is equipped with a digital RPM display on the headstock. It also has electronic variable-speed spindle control, which allows you to change spindle speeds with the simple turn of a dial—and while the lathe is still running! 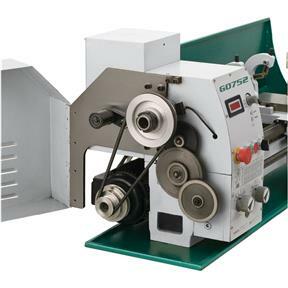 This feature eliminates the additional time it takes to stop the motor and then change gears or move levers around when changing spindle speeds. 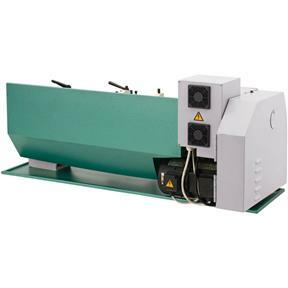 Even better, the fine degree of control allows you to set the optimum spindle speed for your feed speed and workpiece material, so that you can get the best finishes possible. Approximate shipping weight: 453 lbs. Note: The G9973 Stand is an optional accessory for this machine. 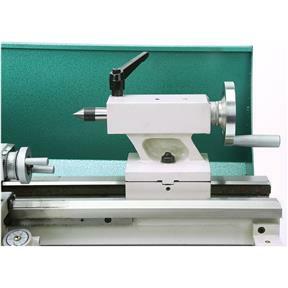 Some modification is required, such as drilling holes in the stand, and mounting hardware is not included. Purchased this in may of 2018. Picked it up myself in the Missouri showroom. Originally intended to buy the G0602 model, but they were out of stock at that time. Wife talked me into the variable speed unit, and I am sure glad she did! The variable speed is really handy and an excellent feature. Very pleased with the machine and have used it quite a bit over the last few months. Added a quick change tool post to make it more user friendly. Holds pretty decent tolerances and seems to have plenty of power for what i use it for. Great for a home shop. 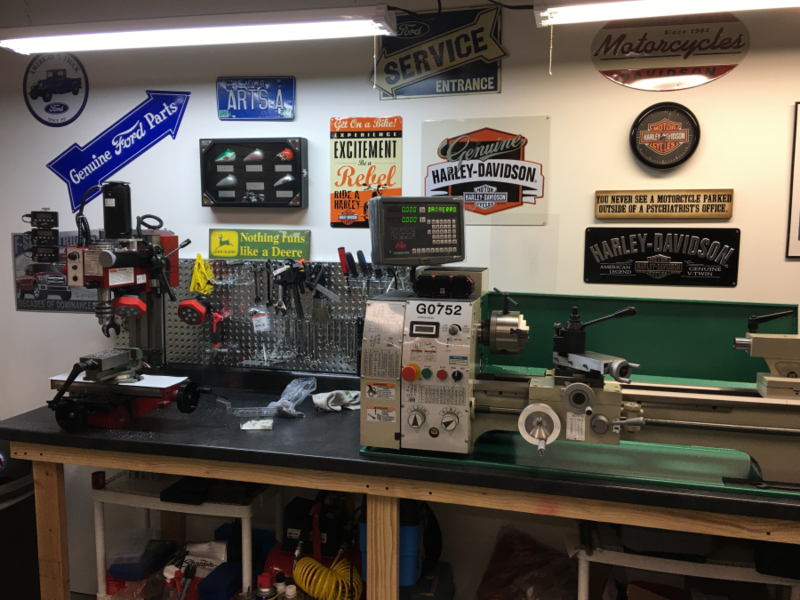 I bought my GO752 lathe a year ago and it works great! I added a quick change tool post and digital read out and couldnt be happier!!! 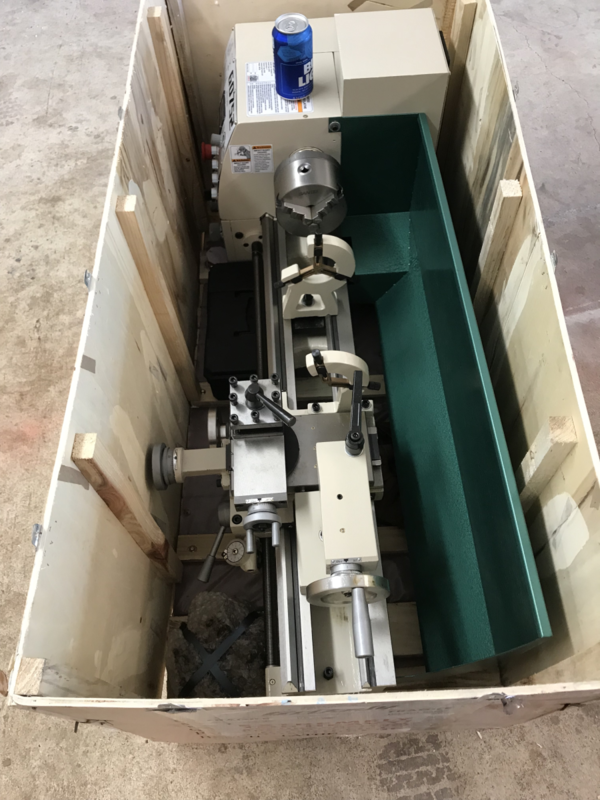 This lathe is my second machine I bought from grizzly..(bandsaw) I never used a lathe before in my life..it was very easy to learn and strong enough to do what I need..i use it to machine motorcycle parts axles,spacers,hubs and gears..the only thing there is no quick connect tool holders made for this machine. But i still love it. This is my second purchase from Grizzly. Both packages arrived within a week from ordering. Each machine arrived with no damage. Had a small electrical issue with the mill but the customer service was awesome and a tech walked me thru and we fixed over the phone. Very happy with both machines. I bought this lathe a few months back and have used it on several small projects. I have made the tool rest modifications that are out there on you tube which helped a good bit. The original tool rest tends to flex a little. The only other issue is that the main spindle bearing seems to be already showing signs of wear. I oiled it per the instruction manual initially and did the required burn in procedure as well as oil it regularly but when I oil it the oil comes out on the face of the lathe and seems to have a slightly gritty feeling to it. I have my suspicions that the unit may not have been factory new. There were some paint scratches and the plastic coating on the front panel face had been peeled off already. As long as the bearing doesn't fail though I am good with the lathe. It works well for what I use it for. I am very pleased with my G0752 purchase. 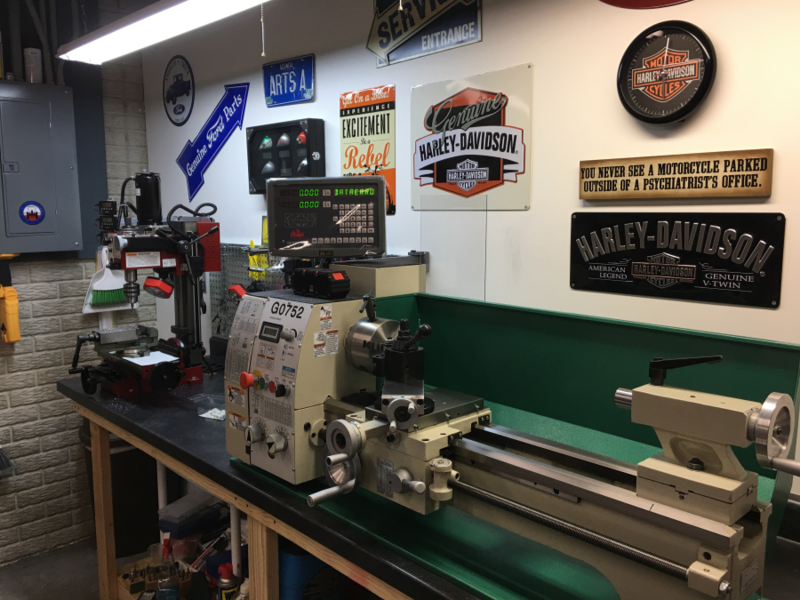 With many years experience running lathes as a career I wanted a small lathe to use in my home shop for hobby/prototype work. I did a lot of online research before choosing this particular machine. It has the feel of a higher end lathe. I do miss the auto cross feed however. This was the sacrifice I made in order to afford the digital spindle speed control. Very pleased with this machine. Easy to set up and after a good thorough cleaning it runs parts very nicely. 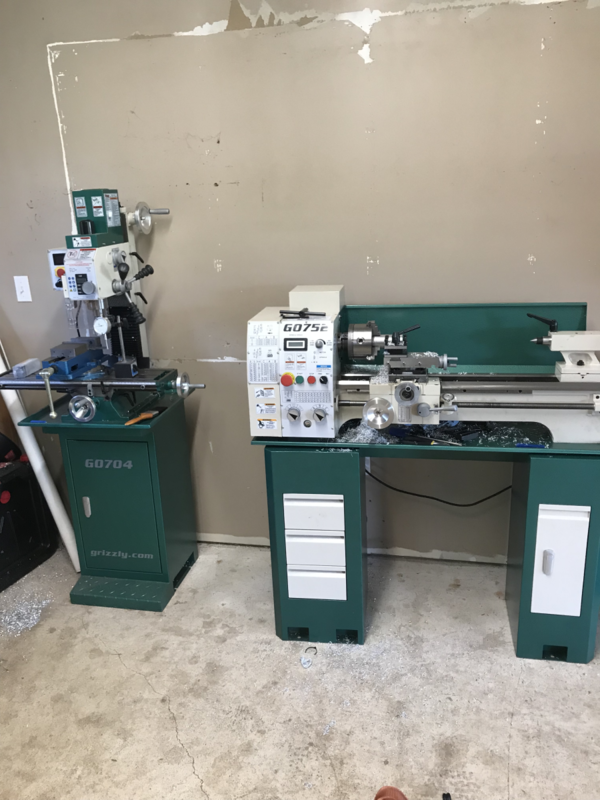 bought this lathe about 4 months ago and then bought the stand a few months later when it came available.it is used in starter and alternator rebuilding. 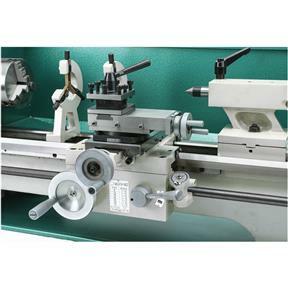 I use it to turn armatures and rotors. I have a grizzly lathe that is over 20 years old. 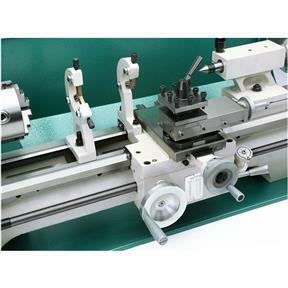 it get used every day.these machines are indestructible.the variable speed in nice.this is a good price for this lathe. 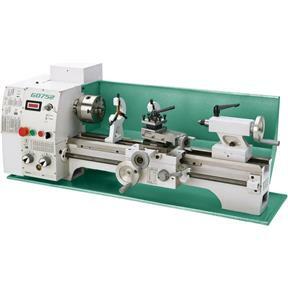 remember you can buy other lathes out there. but you cannot get parts for them.grizzly carries the parts.they still have parts for 20 year old lathe. 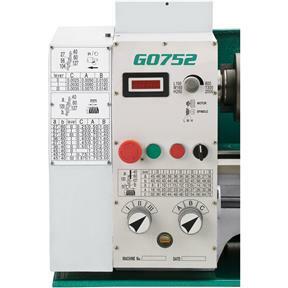 We purchased the G0752 to assist in the manufacture of small prototype parts & tools. The shipment arrived a couple of days early, the crate was undamaged, and the machine was well secured to the pallet. After initial evaluation & cleaning off the cosmoline it ran very smooth. At full speed, the loudest noise still came from the VFD cooling fans, nothing wrong with them, they just move a lot of air. There was a lot of grit in the holes where the handles screw into the wheels, also in the T slot for the tool post. I didn't take the cross slide off the carriage, but I would be willing to bet that there is a lot of grit in there too. 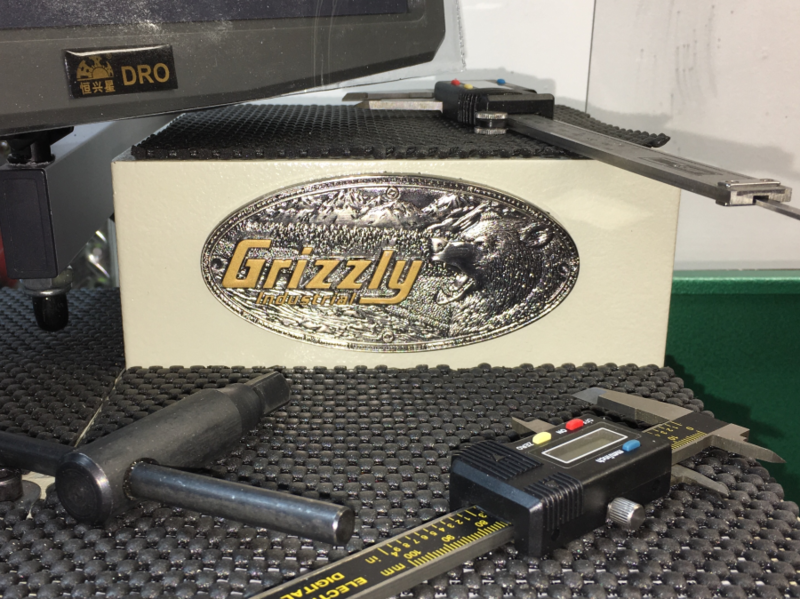 There was no grit on any of the sliding surfaces though, or I would've sent the machine right back to Grizzly as a 'received as damaged' item.